Integrity Custom Homes is a North Texas builder and contractor in Gateway Village and greater Texoma, TX. 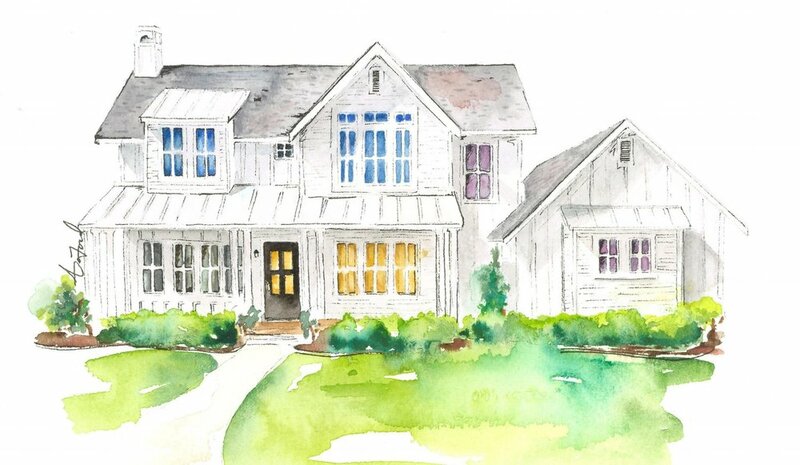 Integrity Custom Homes mirror the charm and appeal of southern cottages and farmhouse. Each home is thoughtfully designed with energy efficient technology, ample storage and large, flowing spaces add modern appeal and ease of living. Memories will be made on the large front porch and attached outdoor living space that are perfect areas to gather friends and family and make entertaining a breeze. An Integrity Custom home is designed to help you live a thoughtful and peaceful life. A version of our historic downtown McKinney stunner, The Modern Farmhouse is slated to be built on a lot in the coveted Washington Subdivision of west Sherman, TX. See photos of completed Modern Farmhouse HERE. 4 bedrooms. 3.5 baths. 2 car garage. 3350 sq. ft.
17 lots in Greenway Parks in Gateway Village, TX. Partnering with David Baca Architecture Studios, we’ve taken a traditional or historical style home and given it modern flair. Watch the video below to see why we love building in Denison, TX.